We’ve all experienced sugar cravings at some stage in our lives. Sugar cravings can occur for a number of reasons. Firstly, when we eat foods that are high in sugar, our brain releases hormones which makes us feel happy & less stressed. Because of the way they make us feel, over time we condition ourselves to reach for these high sugar foods when we are feeling tired, anxious or unhappy. This creates a sugar craving cycle – we feel stressed/unhappy, we eat something sweet, feel better and then repeat. Secondly, sugar cravings can occur when your blood sugar levels drop too low. This can happen if you skip a meal or avoid carbohydrate foods with meals or snacks. Our brains primary fuel source is a type of simple sugar called glucose and if your brain doesn’t receive enough glucose to function, it will send out signals telling us to eat sugar so your brain has energy. And that’s the sugar craving. When sugar cravings occur, we usually reach for highly refined, highly processed sugary foods – think biscuits, chocolate, lollies, ice-cream, cake etc. This can cause our blood sugar levels to spike quickly and then drop quickly too, causing us to crave sugar again to bring our sugar levels back up. And that thus creates a sugar-craving cycle. 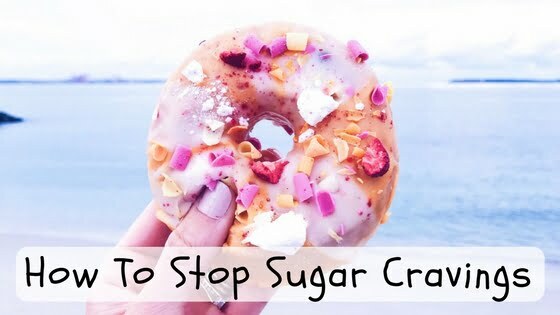 So how can we stop these sugar cravings? 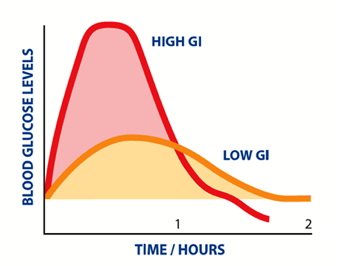 Keep blood sugar levels stable – don’t skip meals & include a low GI food with your meals & snacks. Foods with a low-GIare digested and absorbed slowly by your body, providing a gradual rise in blood sugar levels. This helps stabalise your blood sugar levels and prevents them from spiking & dropping, which can help reduce sugar cravings. See my article here for more information on the glycaemic index and which foods have low GI. Don’t avoid fruit – fruit contains natural sugars that are accompanied by other nutrients like fibre, vitamins, minerals, antioxidants & phytochemicals. Due to the fibre content of the fruit, your body processes the sugar in fruit differently to foods that are high in processed sugar. For this reason, fruit can provide you with healthy amounts of natural sugar that can in turn help manage your sugar cravings. Click here to learn more about the sugar in fruit. Swap your refined sugar snacks for healthier snack options – cutting out all sweets can be tough, so a better approach is to swap your high sugar snack for a sweet yet healthy snack that doesn’t contain refined sugar. I’m currently loving the range form the Clean Chocolate Co. They are made with 100% natural ingredients and can provide you with a hit of sweetness without the added sugars. My two favourites are: 1) Choc Mint Crunch which is made from desiccated coconut, cacao, dates, sunflower seeds, buckwheat & peppermint essential oil, 2) Salted Caramel which is made from cashews, dates, buckwheat, maca, lucuma, mesquite & himalayan salt.So swapping one of your regular high sugar sweets for a treat from the Clean Chocolate Co which are free of added refined sugars can help reduce your sugar cravings and get you out of the sugar cycle. 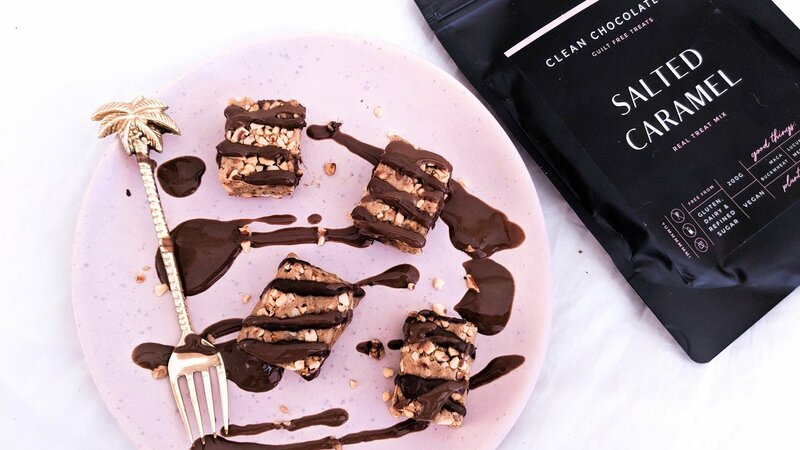 For the full range of healthy treats from the Clean Chocolate Co which are plant-based and vegan friendly, click here. Plus the Clean Chocolate Co. currently have an online special of buy 4 get 1 for free! YAY! 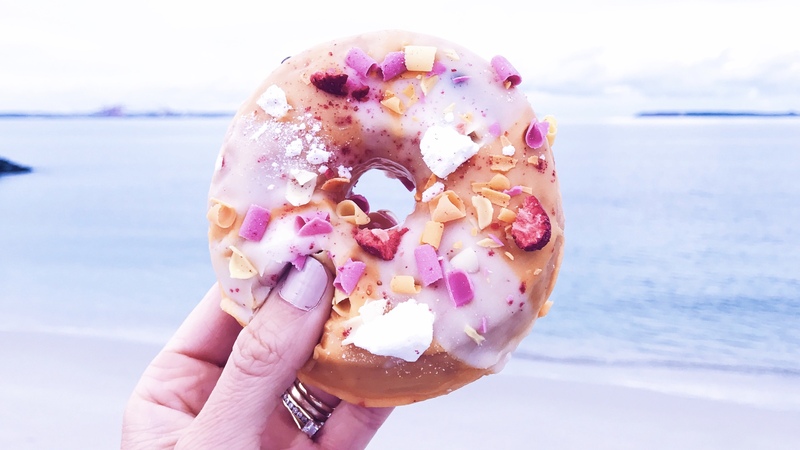 Find the reason for your sugar craving – are you craving sugar because you skipped a meal and actually need foods, or is it due to stress, tiredness, boredom etc? If it’s for a reason other than true hunger, such as boredom, than this is called non-hungry eating or “mind-hunger” and you need to address those reasons first. If you are bored, find something non-food related that you can do to keep your mind entertained. If you are stressed, remove yourself from the stressful environment and do something that can help reduce your stress levels; go for a walk, get some fresh air, listen to some music, talk to a friend etc or seek the help of a health professional who can help you manage your stress. Eat high fibre foods – soluble fiber, which is found found in fruit, veggies and grains like oats, legumes and seeds, swells with water in your gut and helps you feel full, stabilisers your blood sugar levels & reduces sugar cravings. Click here to learn more about high fibre foods. Exercise – getting your body moving releases endorphins which are the “feel good” hormones in your brain. Endorphines can help turn your cravings off. Drink water – dehydration can oven be mixed up for sugar cravings. If you feel a sugar craving coming on, drink a big glass of water and then re-assess if you are still craving sugar. Click here to find out how much water you should be drinking. Editor’s Note – this article is proudly sponsored by Clean Chocolate Co. All opinions are my own and not influenced in any way.